Wakefield Council has pledged to cut its gender pay gap, after it revealed its female employees were earning an average of nearly five per cent less than their male counterparts. Firms and local authorities who employ at least 250 people were compelled to reveal details relating to how their male and female workers are paid last week. According to Wakefield Council's own data, women earn a mean of 4.7 per cent less than men, or a median of 2.4 per cent less. Just over two thirds of the local authority's 4,900 workers are women, but the fact that female workers are "over-represented" in the lower echelons of the pay system is the main reason for the disparity between the sexes, according to the council. The council was one of 10,000 employers instructed by the Government to publish data on how much cash its workers take home, with the issue of equal pay at some of the country's biggest organisations having come under heavy scrutiny of late. In its own report, Wakefield Council says: "The main reason for this gap is that women are over-represented in the lowest 25 per cent of earners (typically jobs such as cleaners, pupil escorts, school crossing patrollers, receptionists and administrative assistants). "For example at Wakefield, 175 out of 200 cleaners employed are female. "At higher grades, the distribution of staff is broadly in line with the overall gender split of the Council workforce." Despite the gap, Wakefield does compare favourably to some other councils with similar-sized workforces. Women's pay at Wolverhampton City Council is 7.8 per cent lower than men when the mean is taken into account, while in Hull it is more than 10 per cent. In Middlesbrough, women are 10.5 per cent behind their male counterparts on the pay scale, despite making up 70 per cent of the workforce. 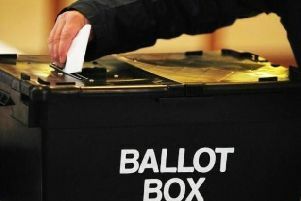 Closer to home, Leeds City Council clocked in with an 8.6 per cent difference in favour of the men, with the gap at Bradford's local authority only slightly narrower. Councillor Peter Box, Leader of Wakefield Council said: “Although the pay gap in Wakefield Council is one of the lowest across the West Yorkshire councils and significantly lower than many private sector companies, we are not complacent and will continue with the work we are doing to try and reduce this even further. “This includes ensuring all job adverts are gender neutral and that we look to recruit through a variety of channels and consider non-traditional sources, removing barriers to flexible working wherever possible and supporting staff with caring responsibilities and developing our procedures to enable this.